GNL often acquires properties through sale-leaseback. 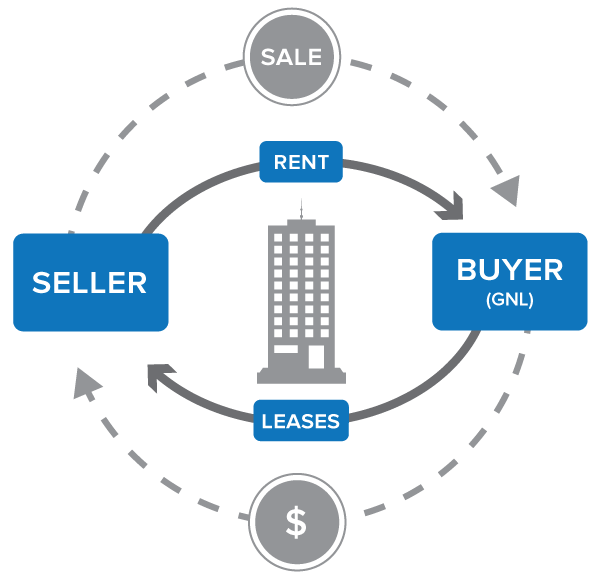 A sale-leaseback transaction is a legal arrangement that allows a company to sell its non-earning property and simultaneously lease it back from a buyer like GNL. Sale-leasebacks provide a company the opportunity to unlock capital, otherwise “trapped” in physical properties, for reinvestment in growing its business, fortifying its balance sheet, and meeting budgetary needs. The corresponding “buyer” or lessor gains a contractually protected source of stable investment income, returned periodically in the form of rent payments.